As such it is recognized by Government as the most representative employers' organisation in accordance with ILO regulations. The NEF currently has 500 direct corporate members (as of the beginning of 2019) and in total represents the interests of over 5000 various employers through its Associational Members. 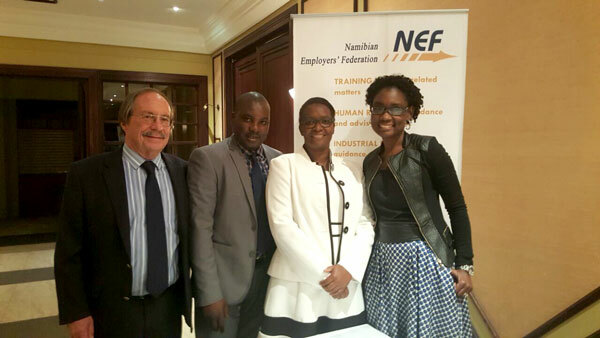 As the recognised employers' body in Namibia, the NEF is invited to be part of the official Namibian delegation to various international conferences such as the Annual International Labour Conference in Geneva, African Union and SADC Labour conferences and workshops. The NEF is a member of several international bodies and thus enjoys free technical and legal advice when requested. In addition these memberships entitle members to attend various international training courses.